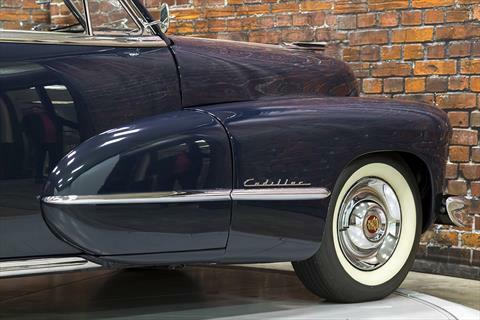 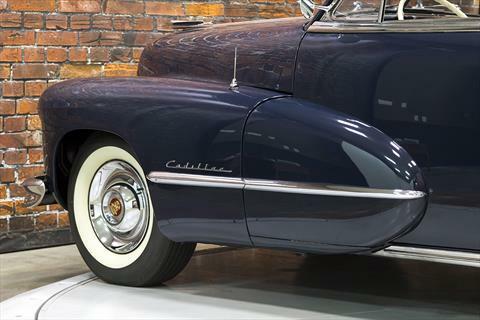 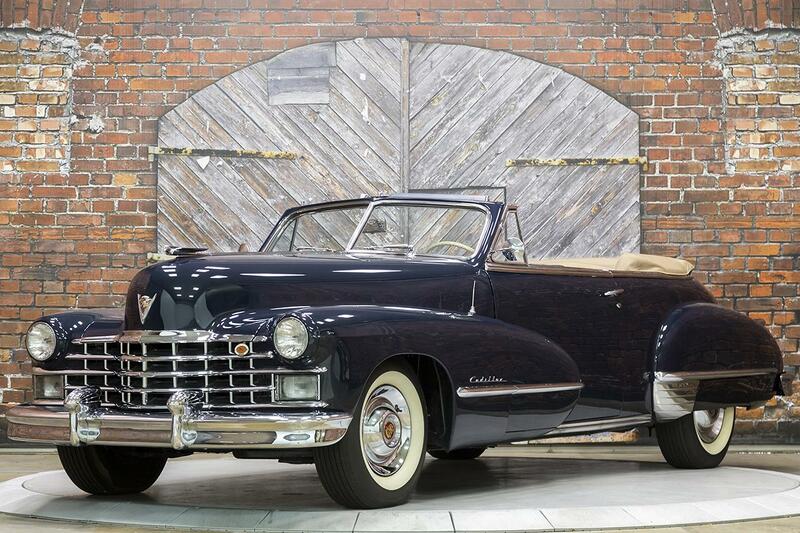 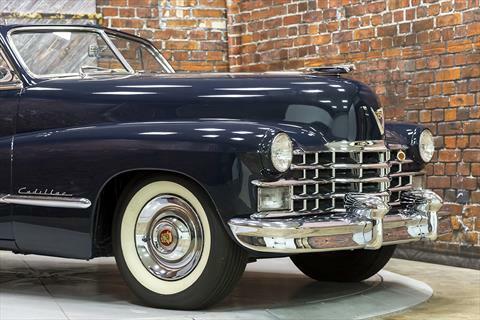 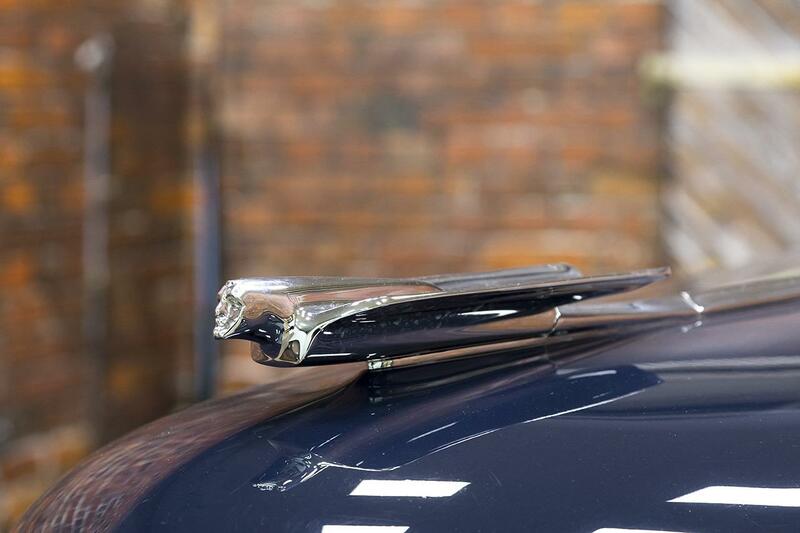 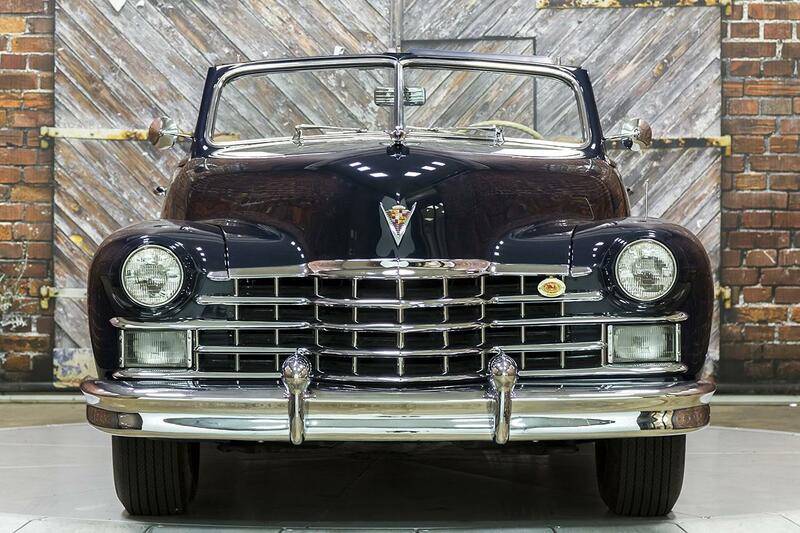 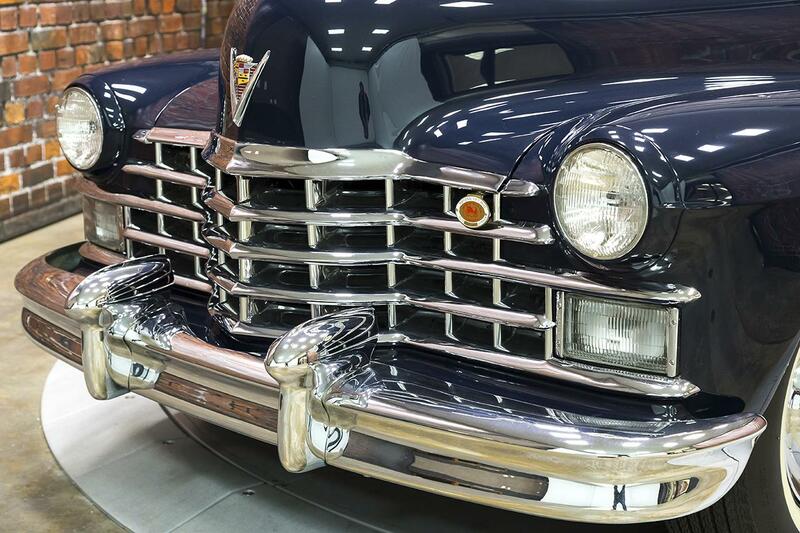 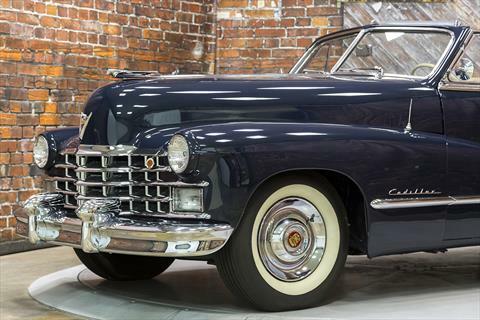 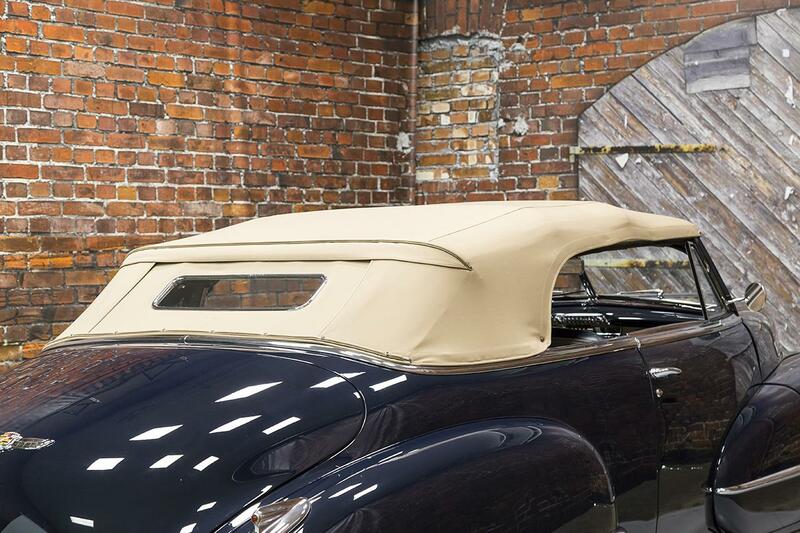 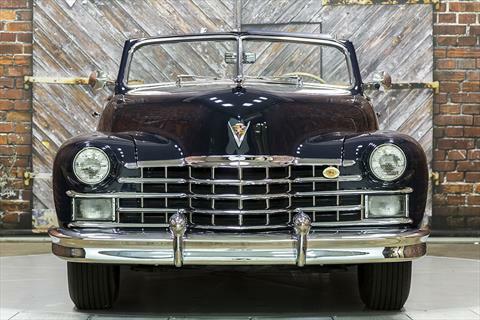 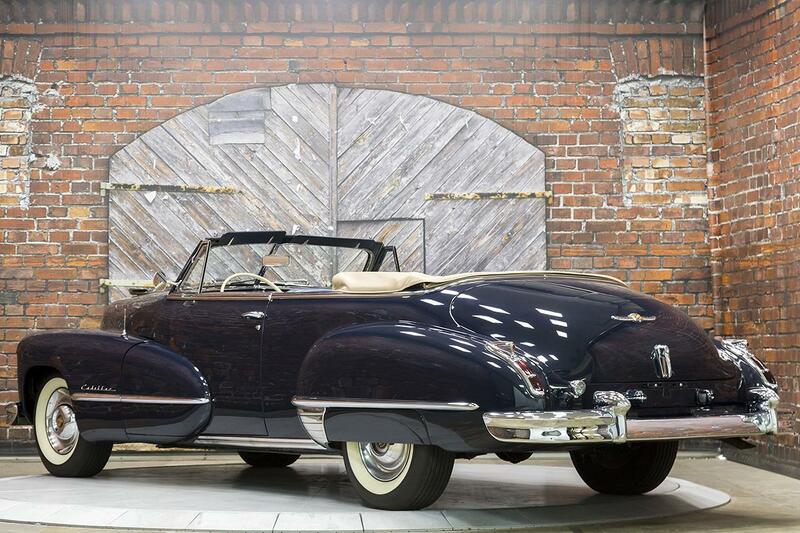 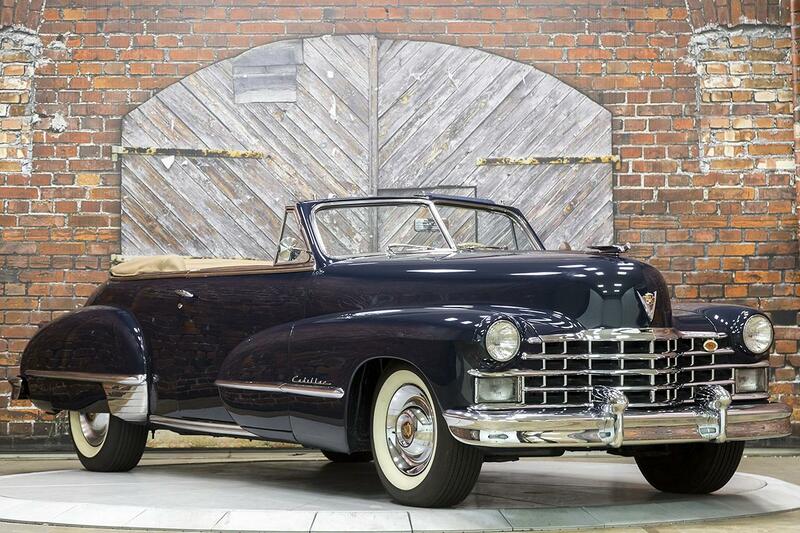 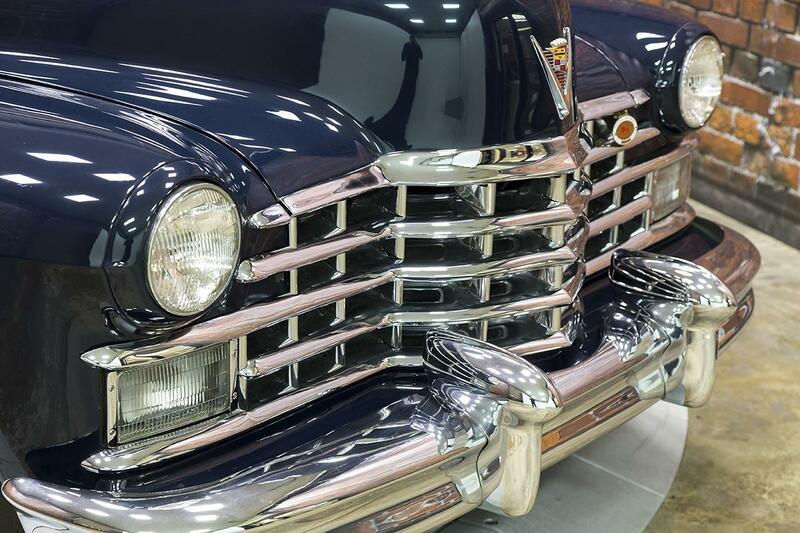 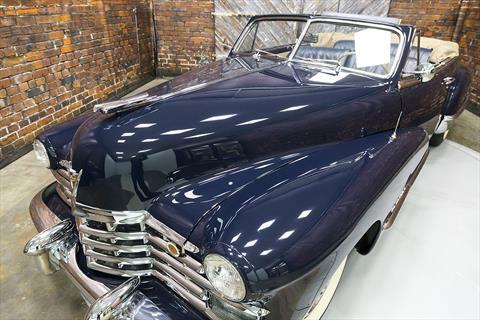 We proudly offer this beautifully restored 1947 Cadillac Series 62 Convertible in Belden Blue with Tan power-operated convertible top over a Blue Leather interior with grey Bedford cord. Powered by a 150 hp, 346 c.i. 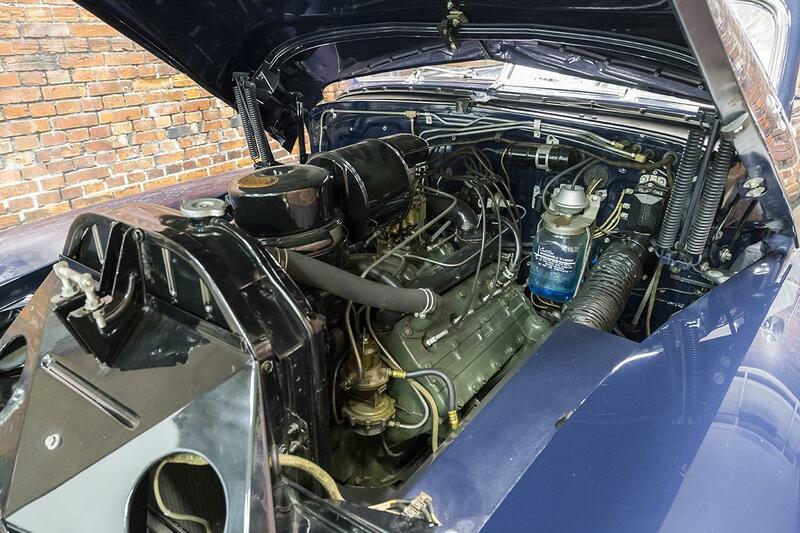 L-head V8 engine through a 4-speed Hydra-Matic transmission. 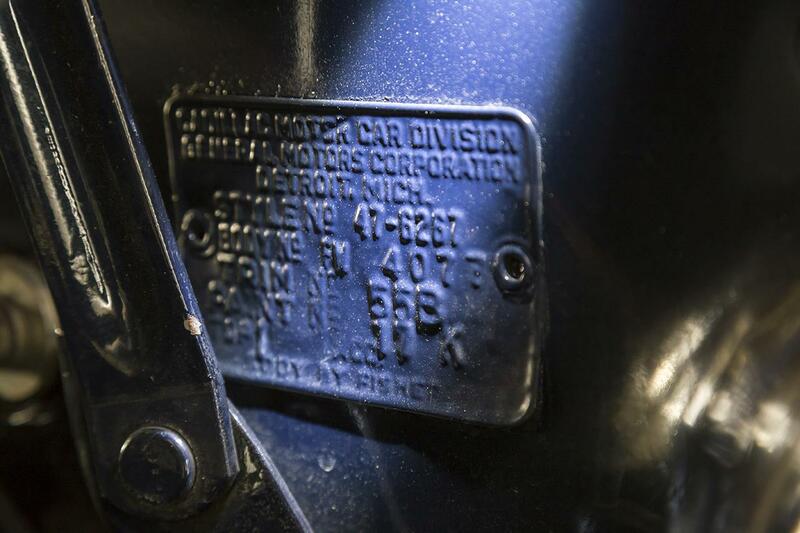 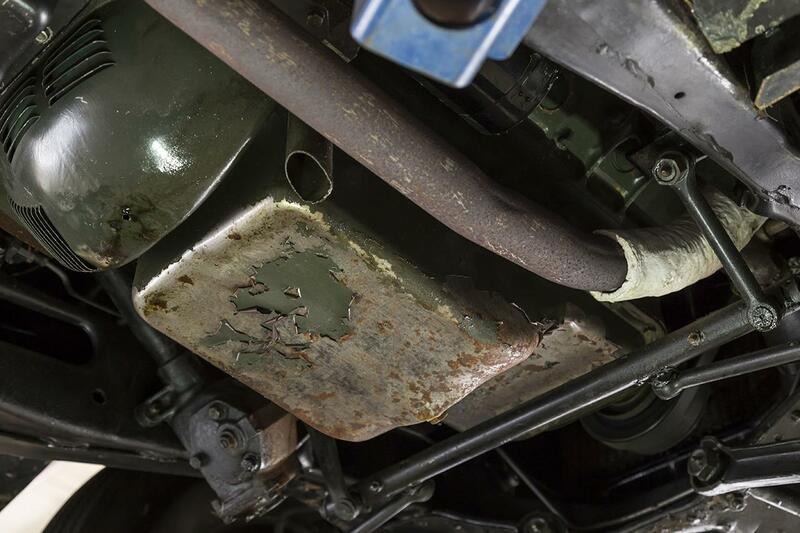 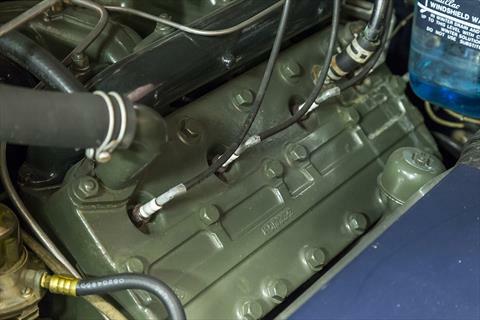 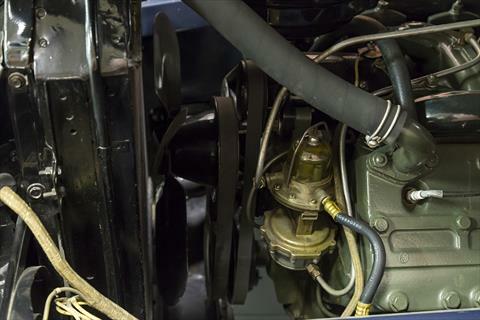 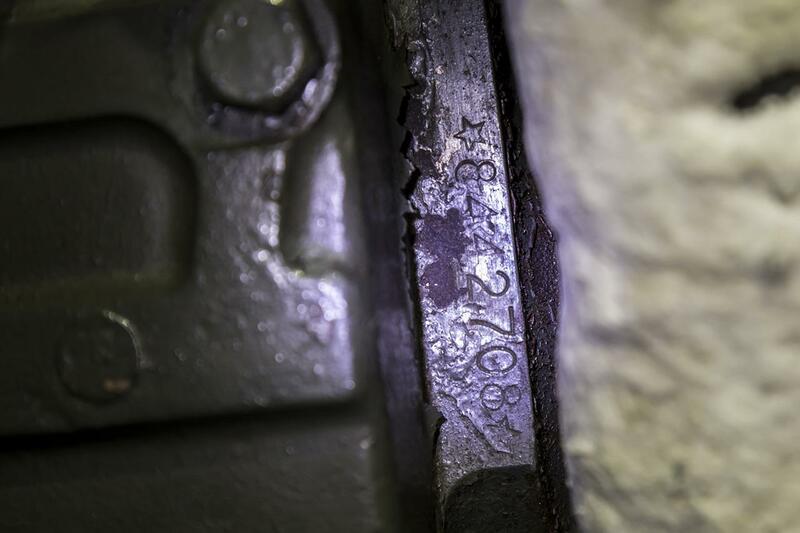 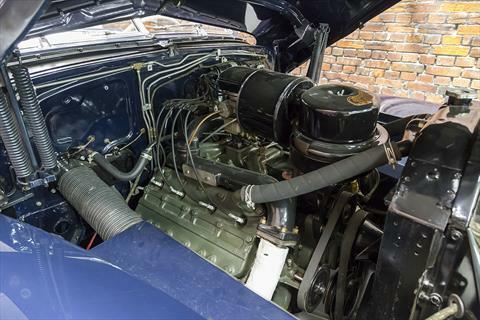 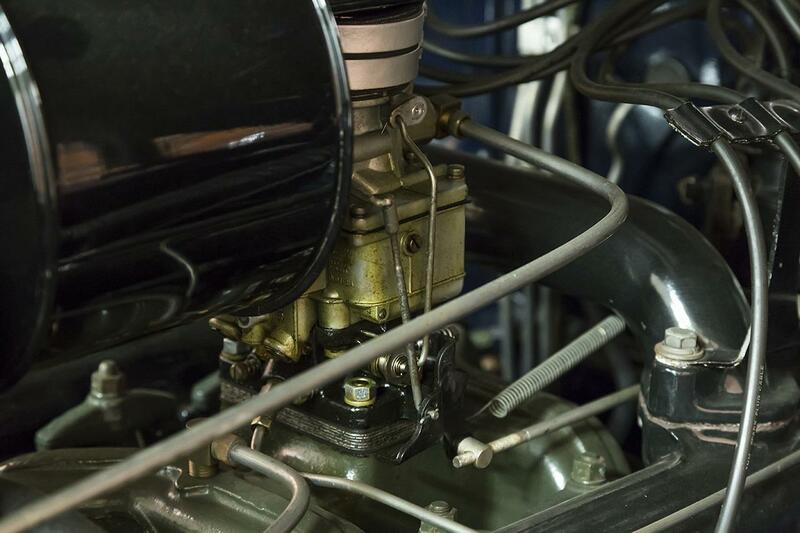 Thanks to Cadillac’s involvement in engine production for the military’s tanks during WWII, this experience led to many reengineered internal engine parts for added strength and reliability. 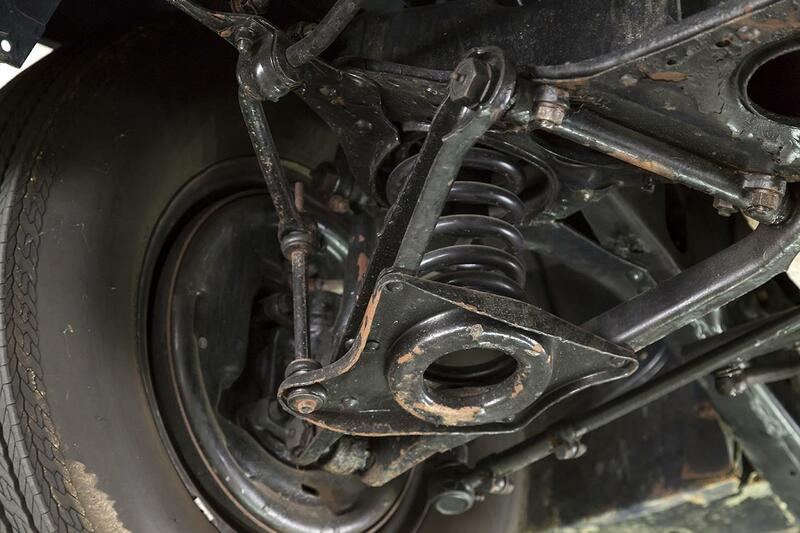 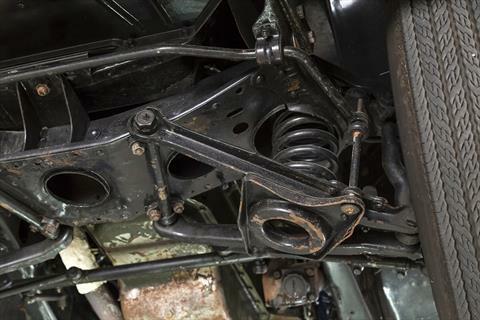 The Hydra-Matic transmissions (having also driven the U.S. tanks) had seen improvement as well. 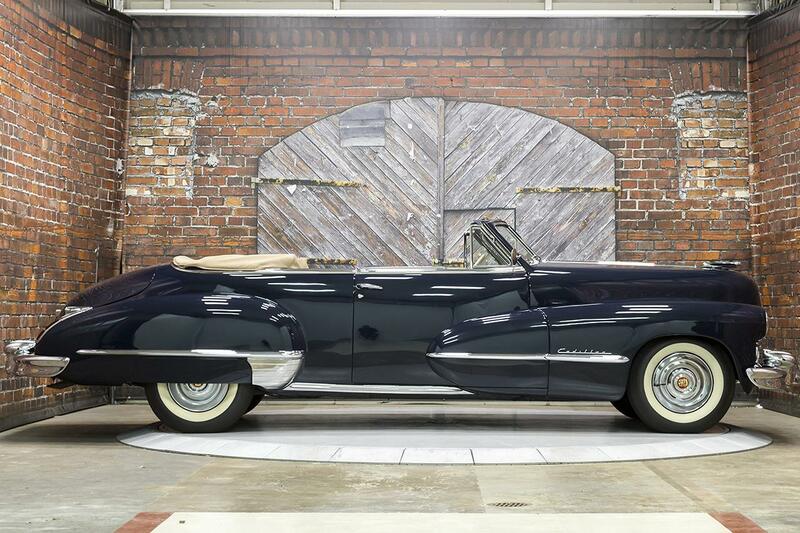 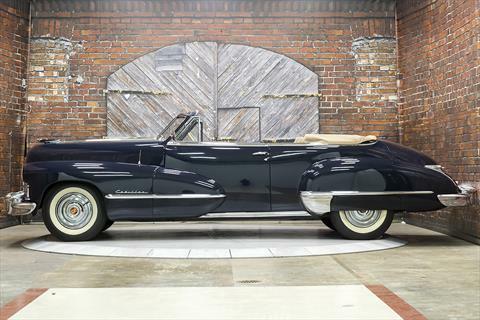 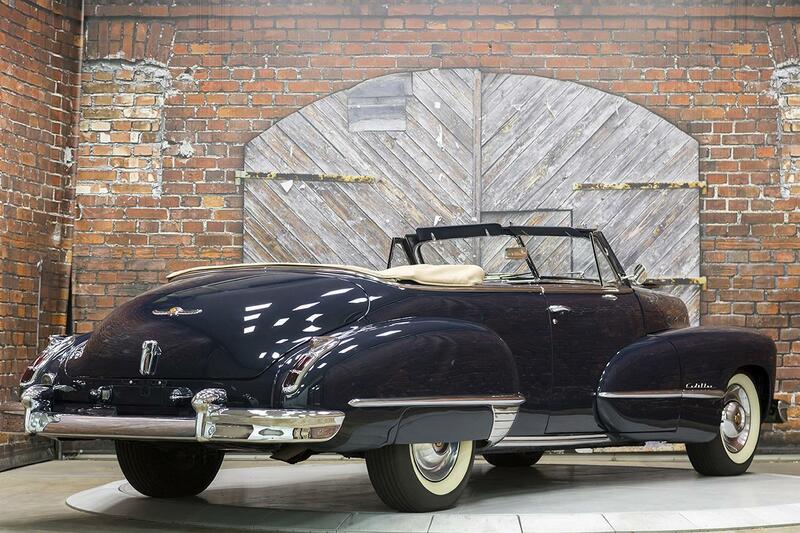 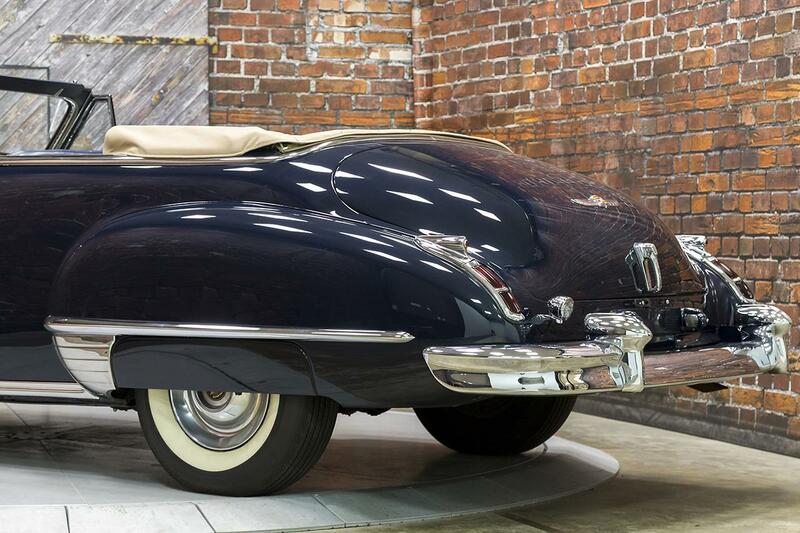 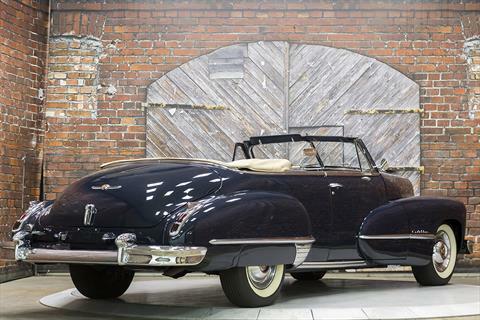 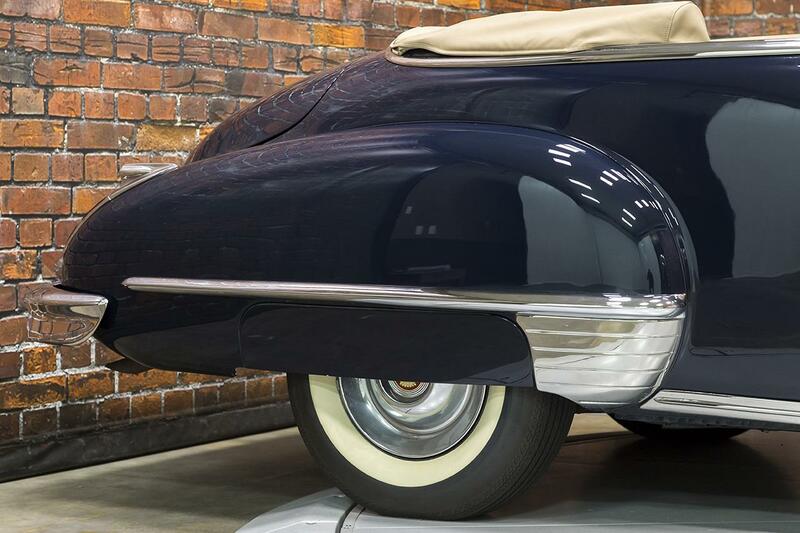 This model was Cadillac’s only convertible in 1947 and featured Hydra-Lectric window lifts and the large optional “Sombrero” wheel covers. 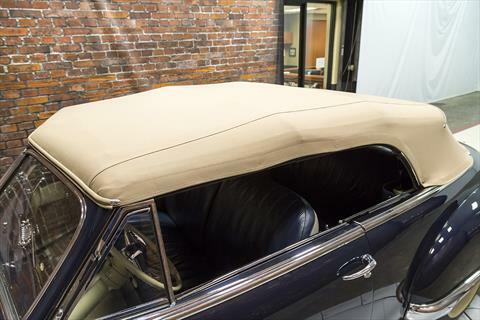 Convertible production that year totaled 6,755, helping boost Cadillac over Packard as the best-selling American luxury car. 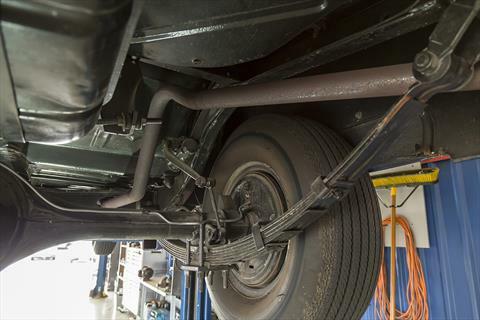 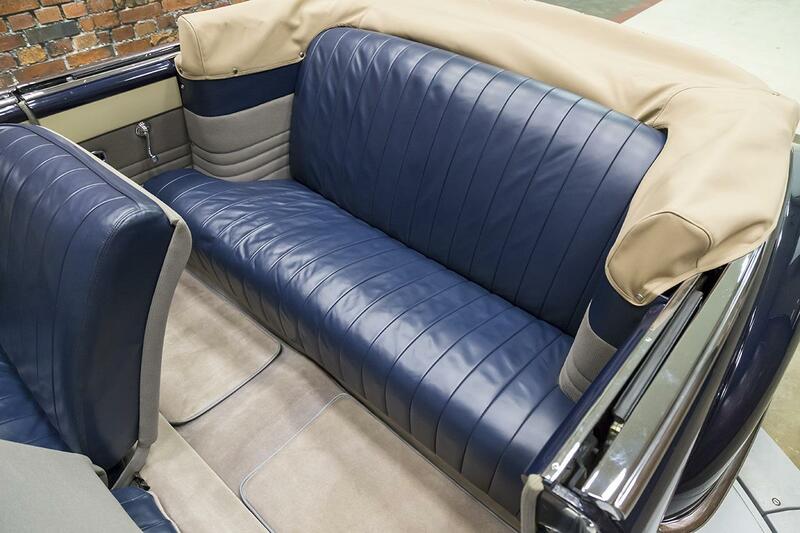 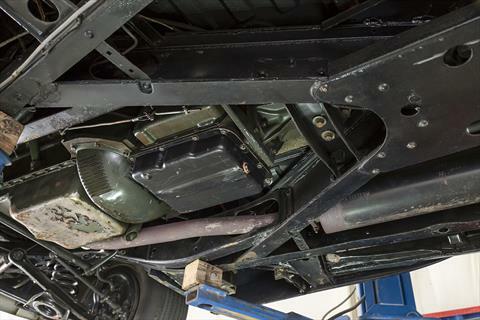 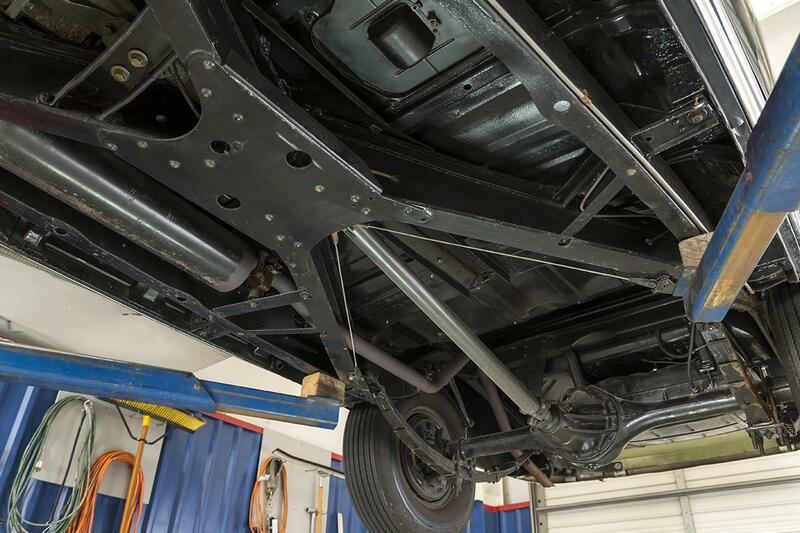 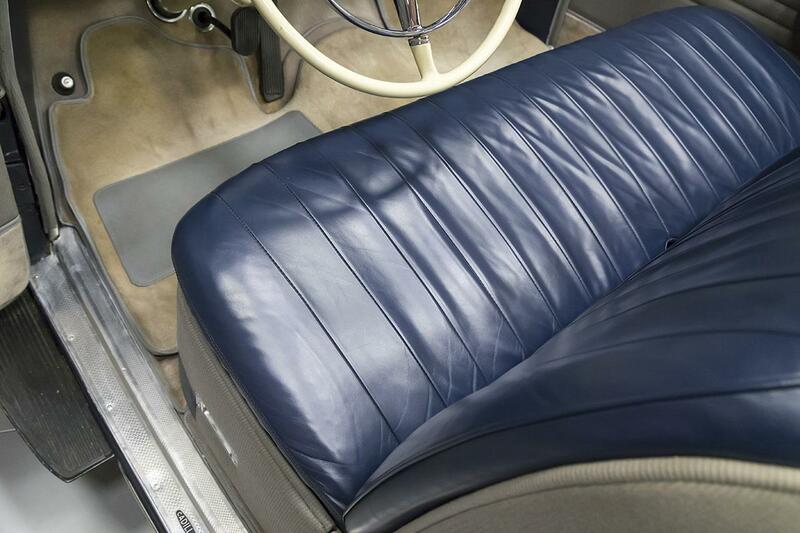 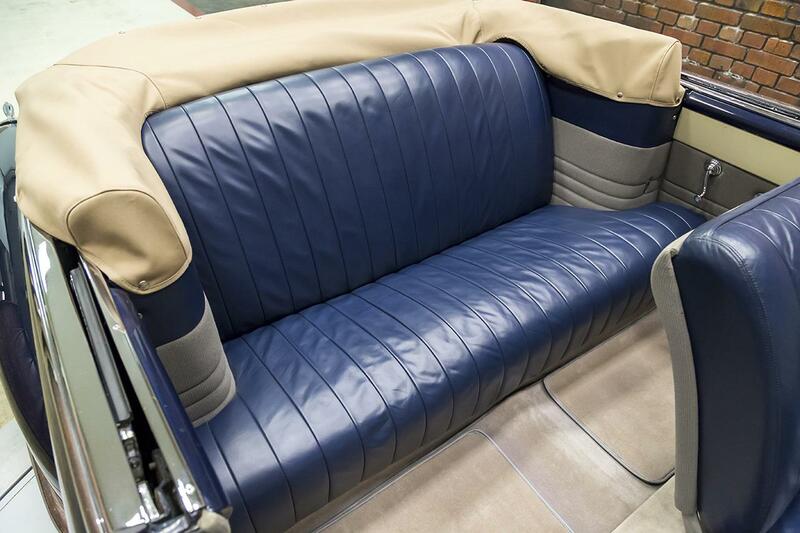 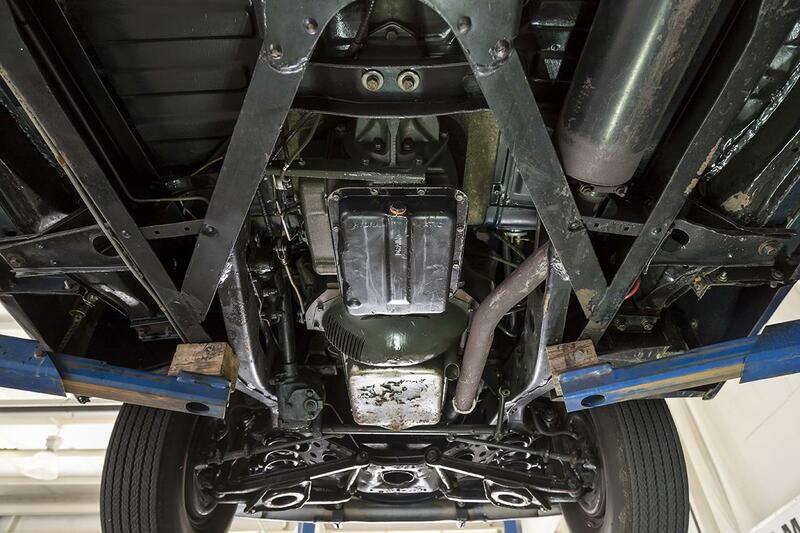 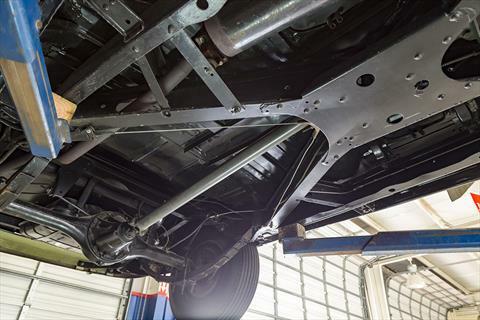 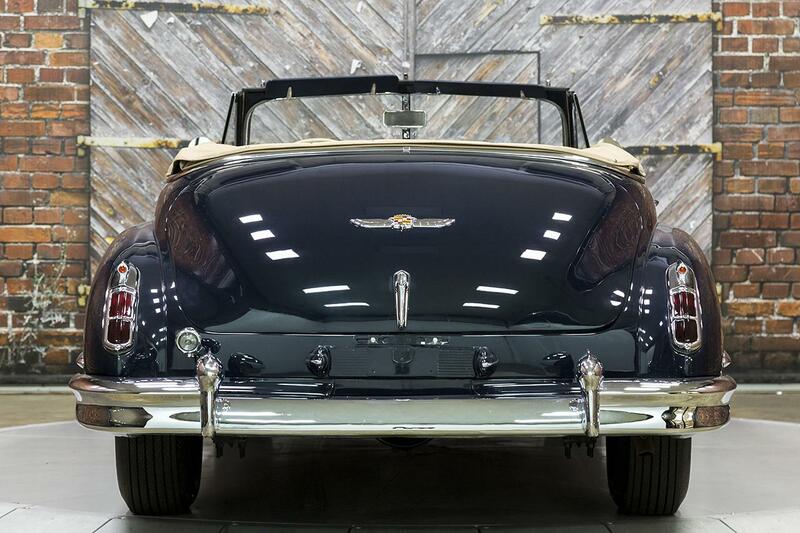 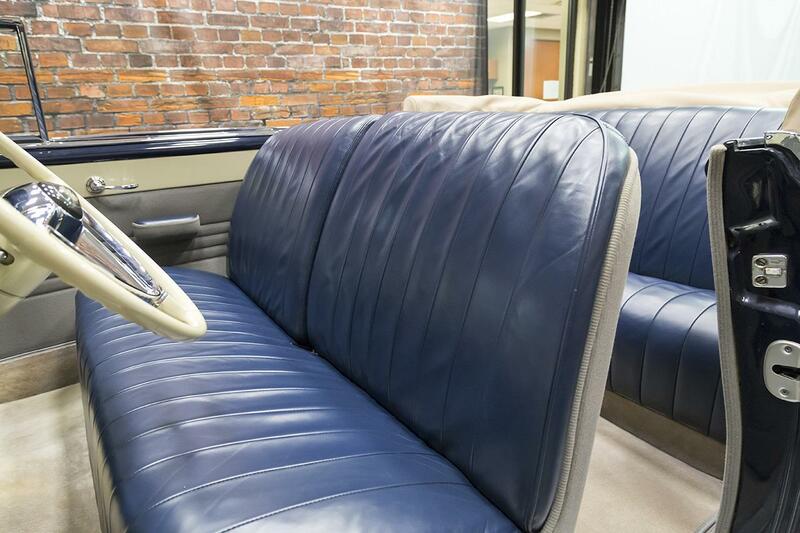 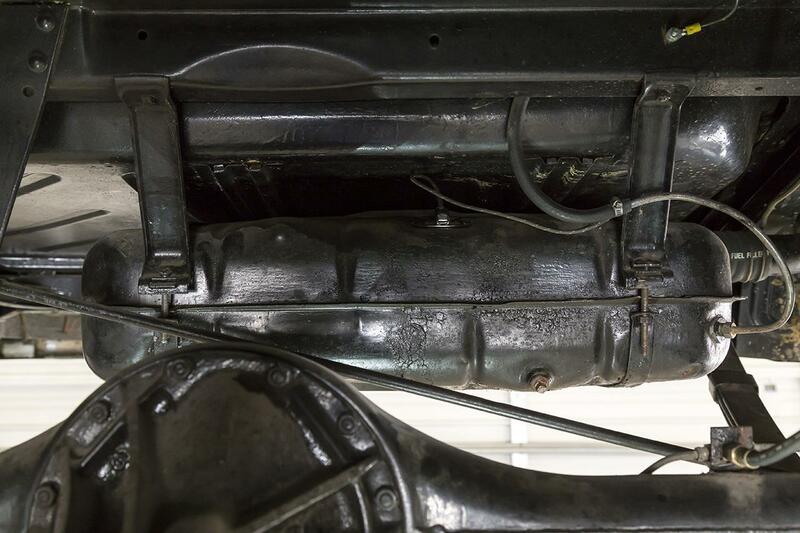 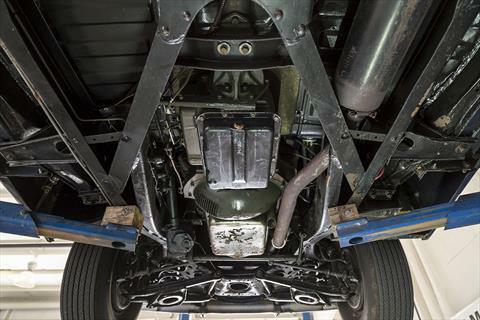 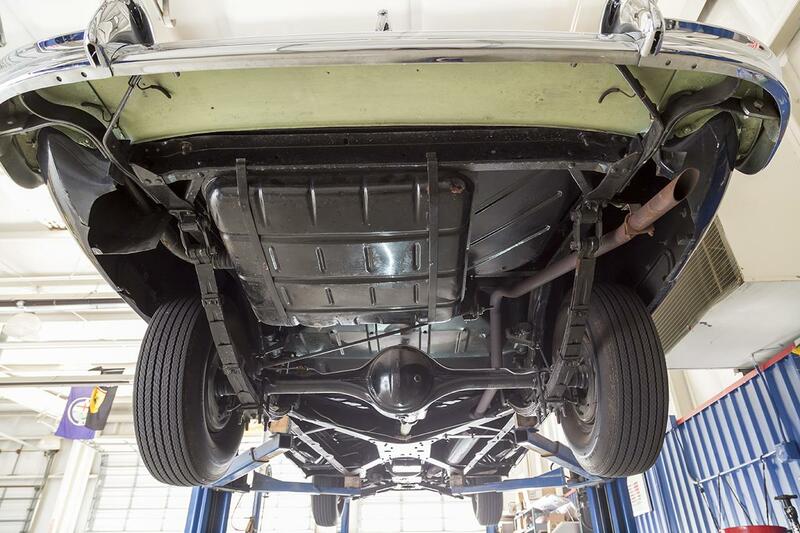 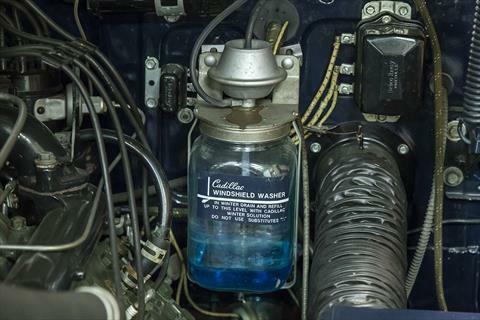 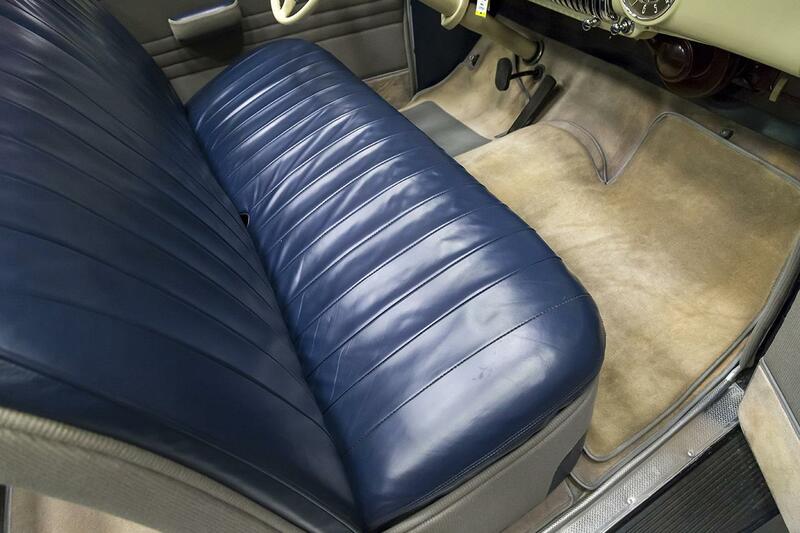 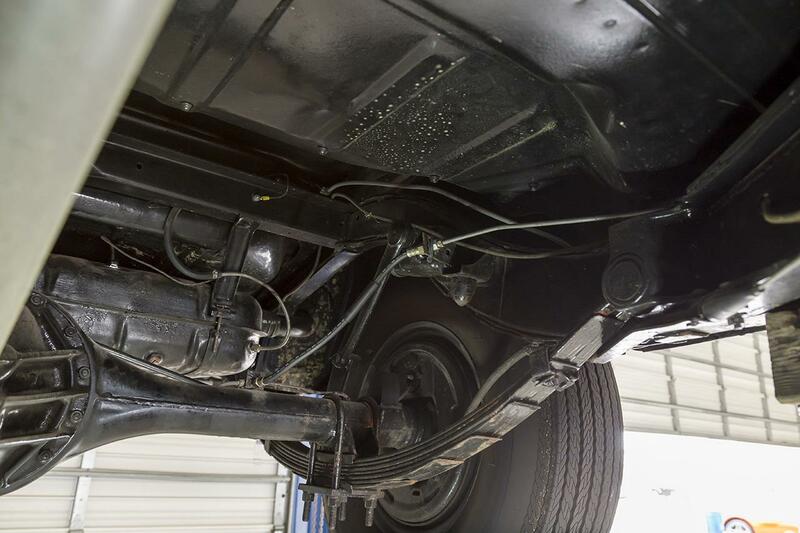 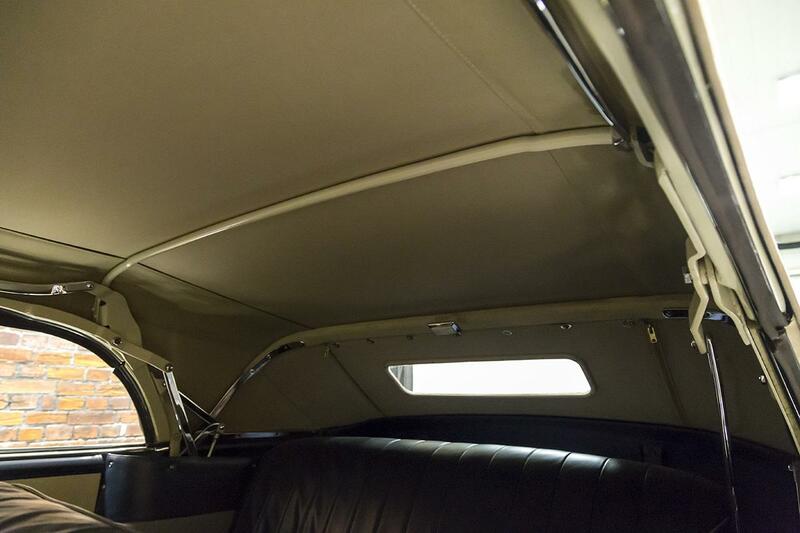 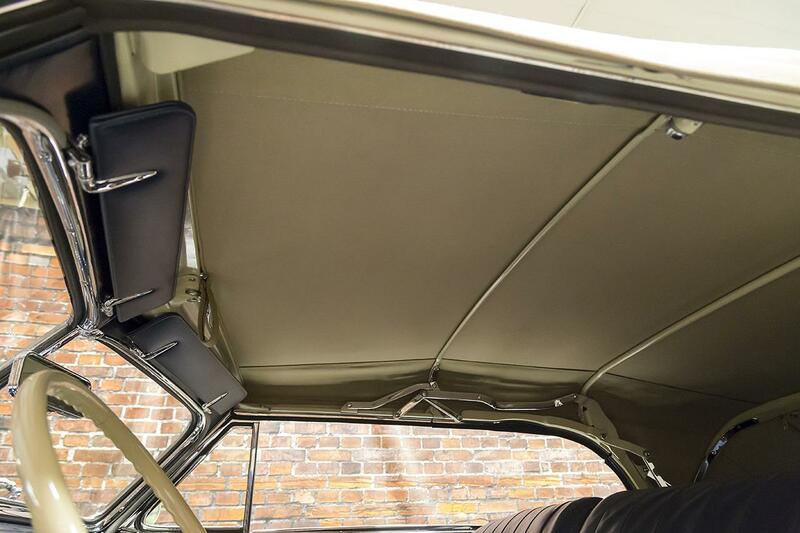 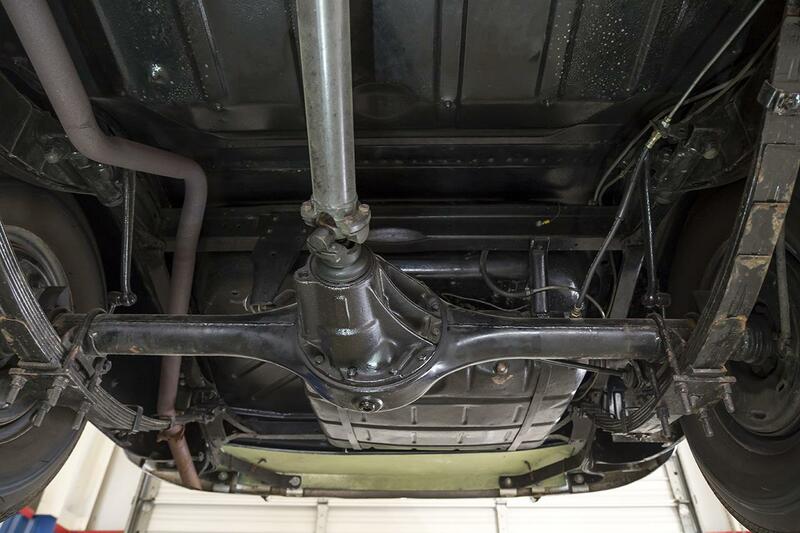 This Cadillac Series 62 Convertible previously received a body-off restoration after which, it was entrusted to David Prueitt of the respected Prueitt Automotive Restoration in Glen Rock, PA. 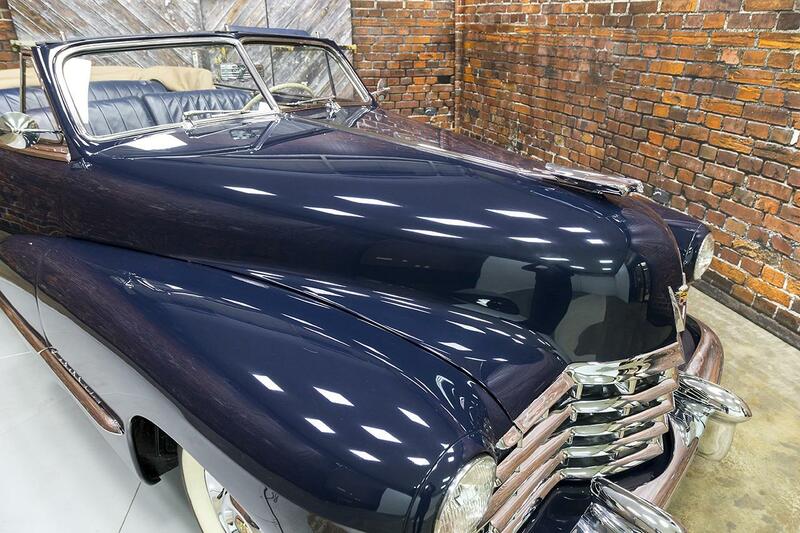 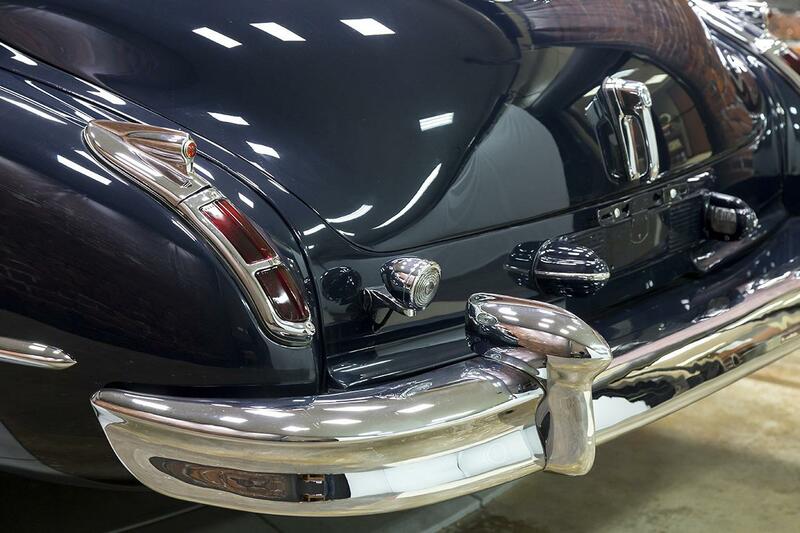 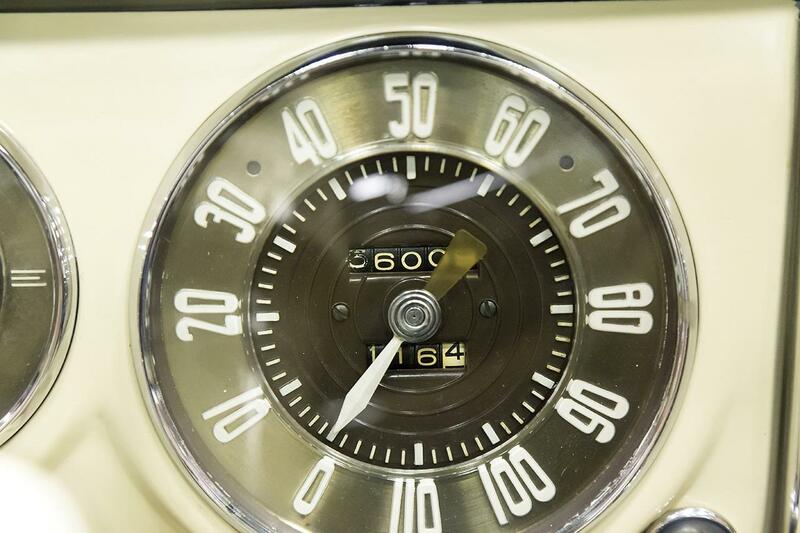 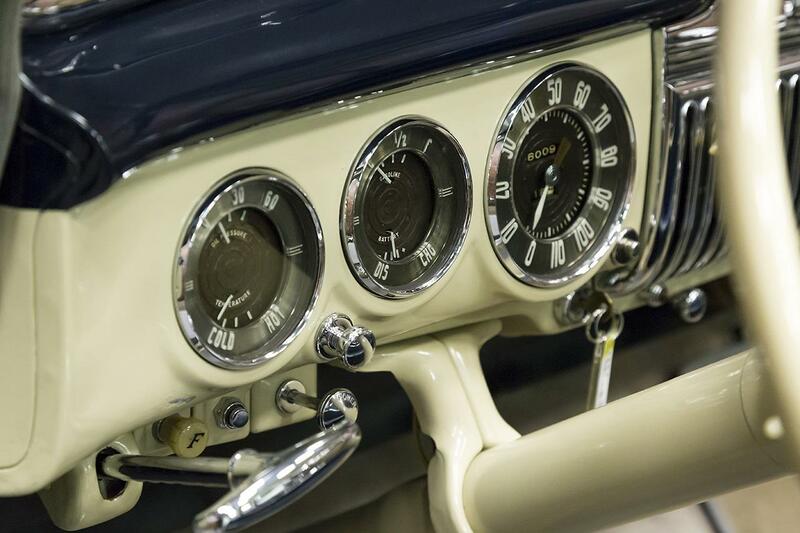 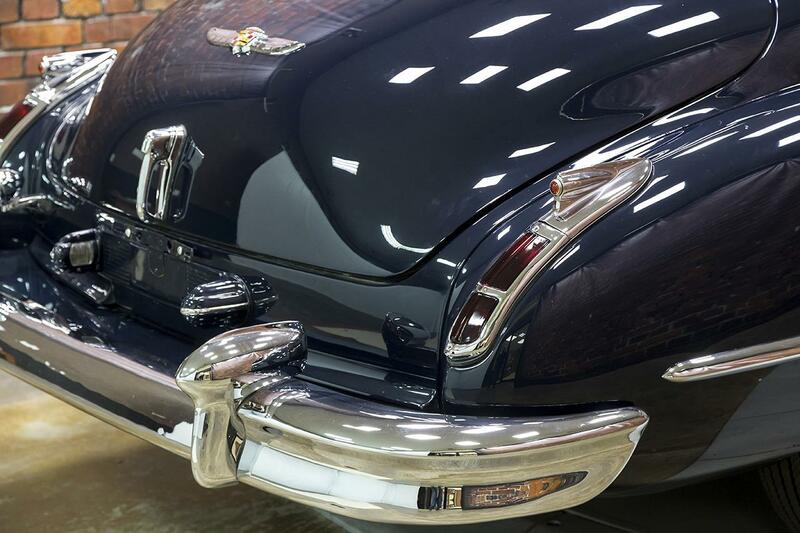 Upon completion of a careful, comprehensive detail, the car was delivered to Hershey, PA in October 2014 where it was awarded First Junior honors at the Antique Automobile Club of America Eastern Division Fall Meet. 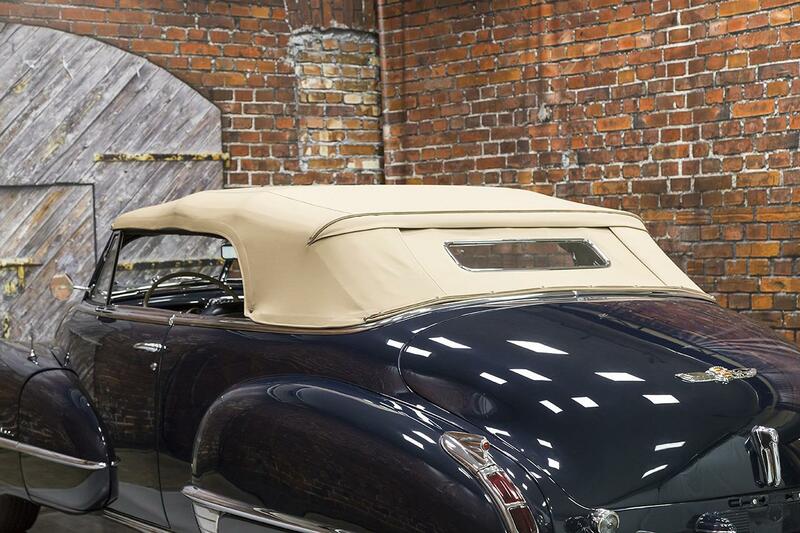 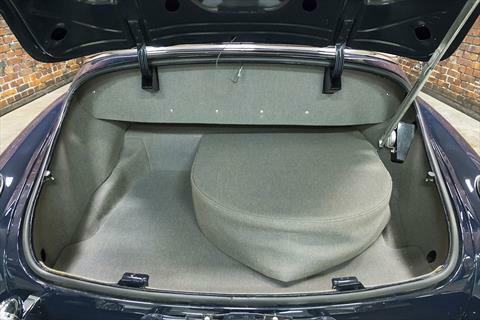 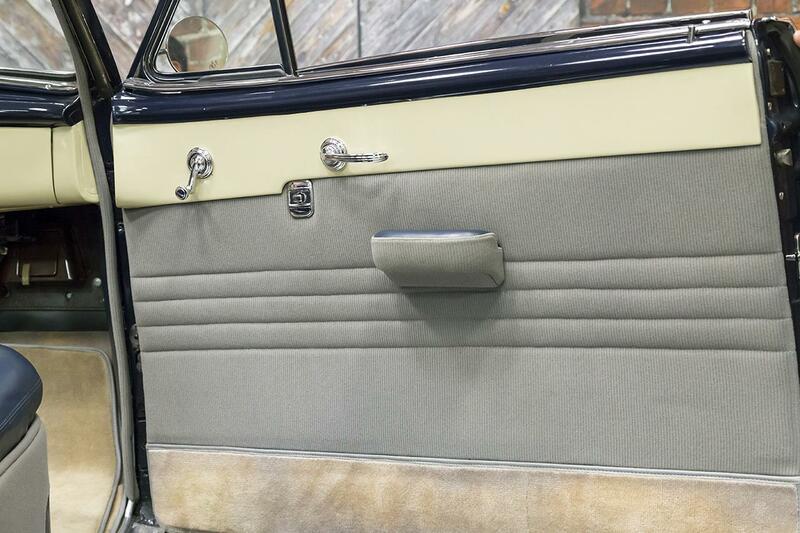 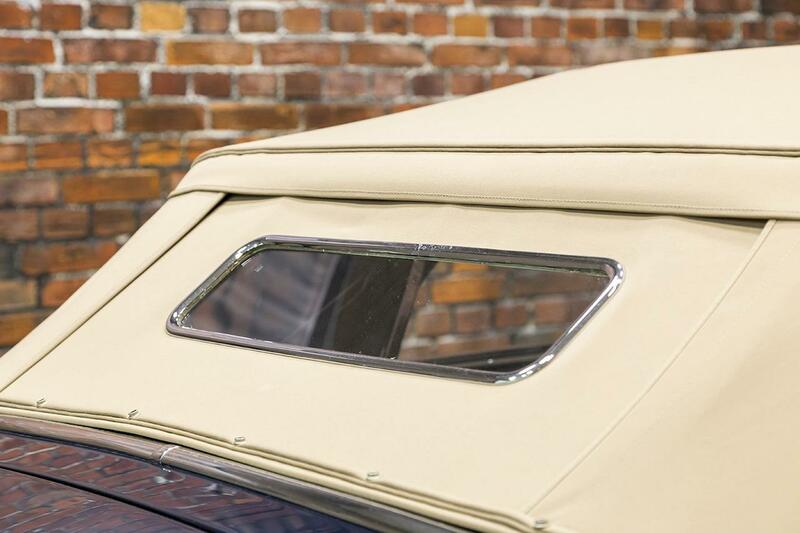 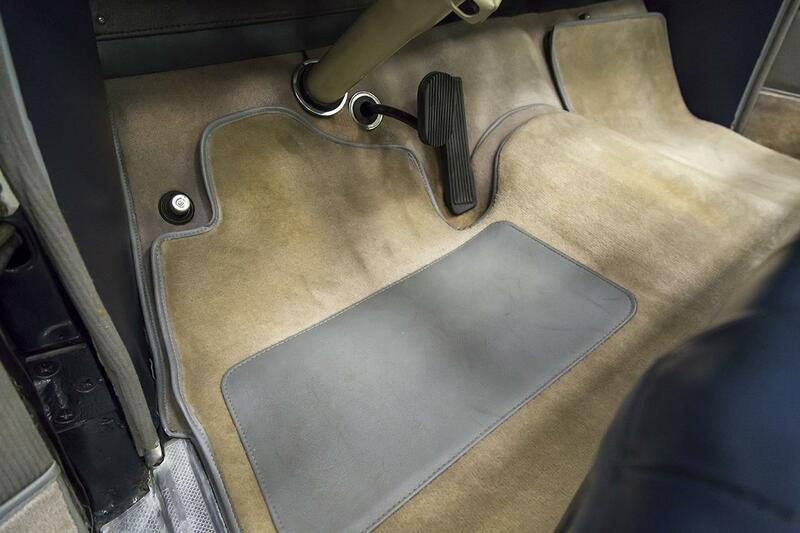 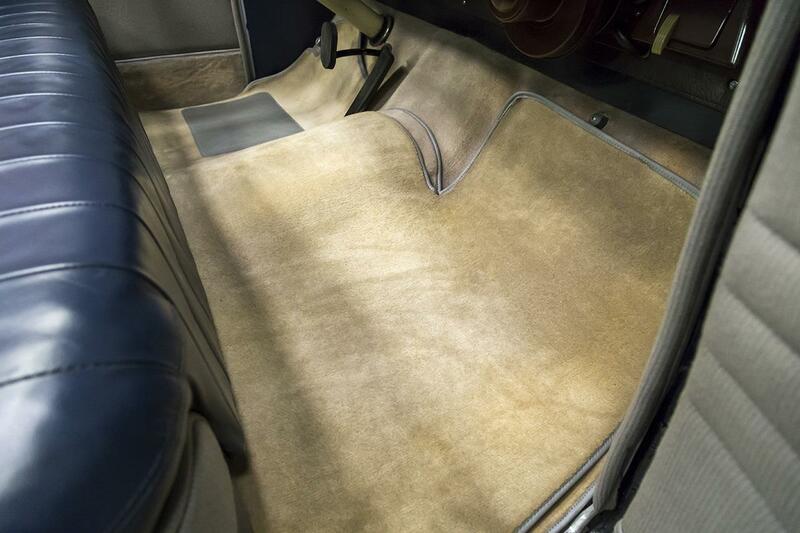 This car features a tan canvas power top, Hydra-Matic transmission, power windows, radio, heater, windshield washers, backup light, dual exterior mirrors, rear fender skirts, and a tan convertible top boot. 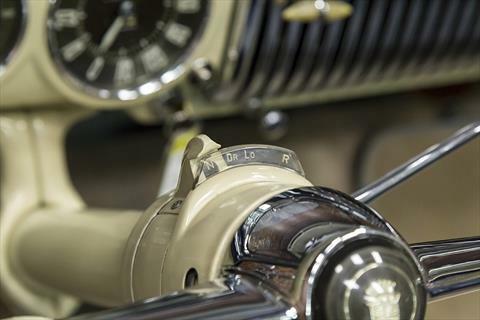 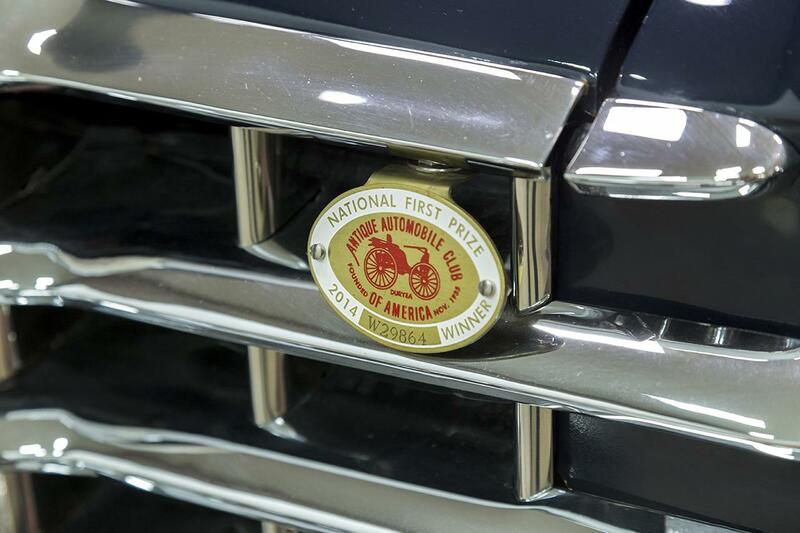 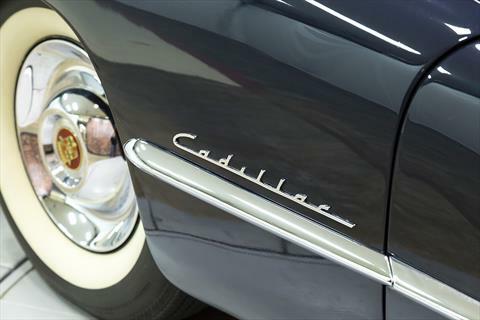 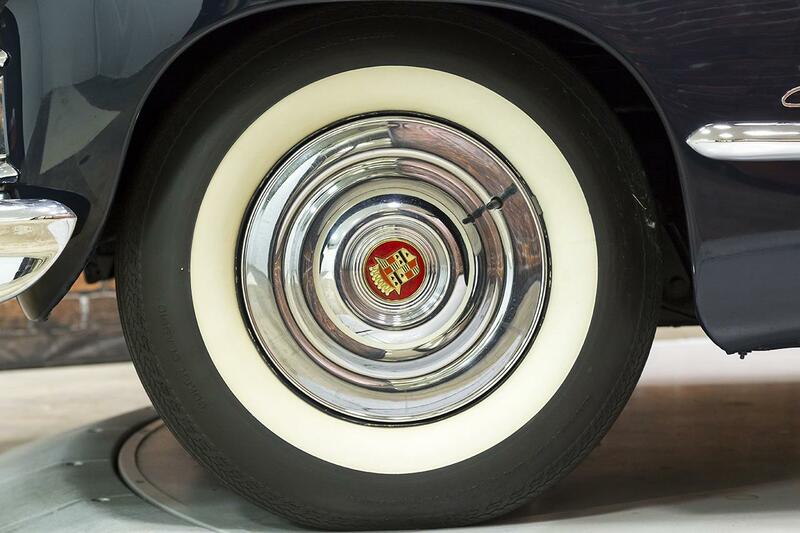 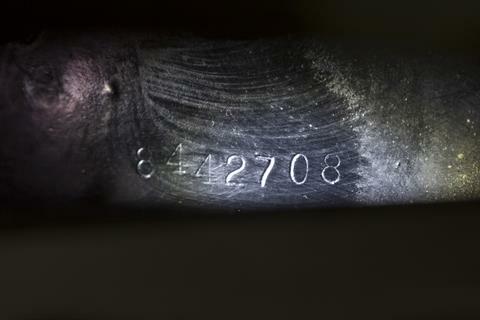 Series 62 Cadillacs are recognized as Full Classics by the Classic Car Club of America. 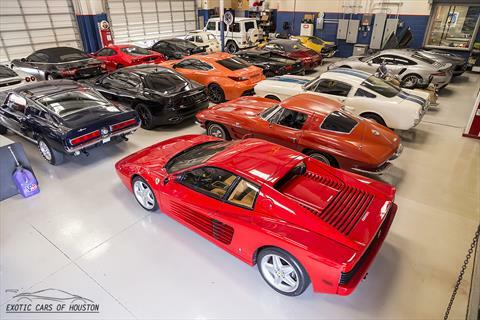 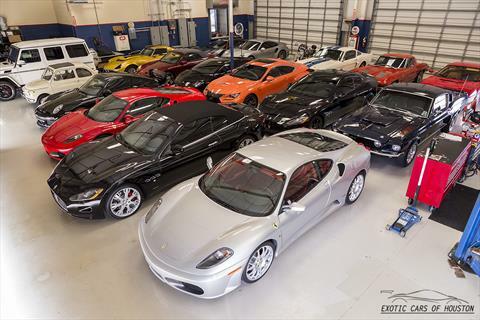 Their excellent performance at highway speeds makes them popular tour cars for CCCA events. 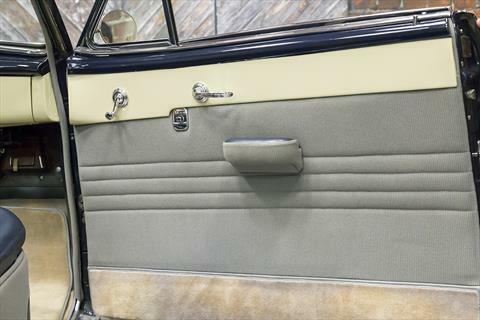 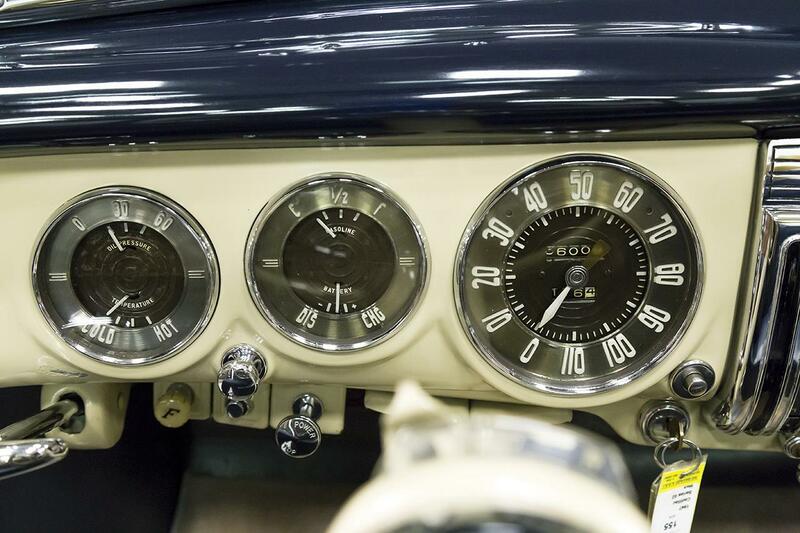 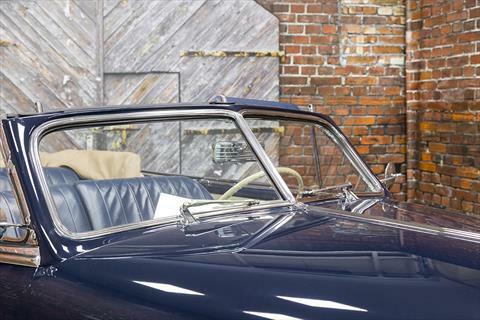 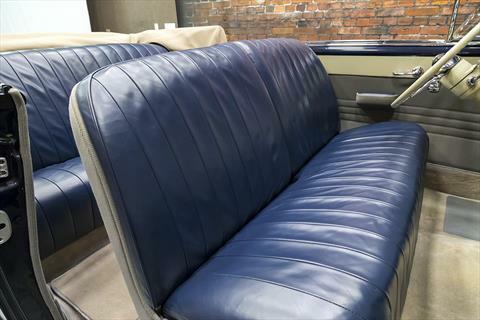 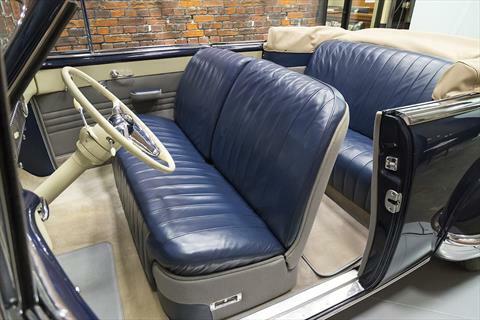 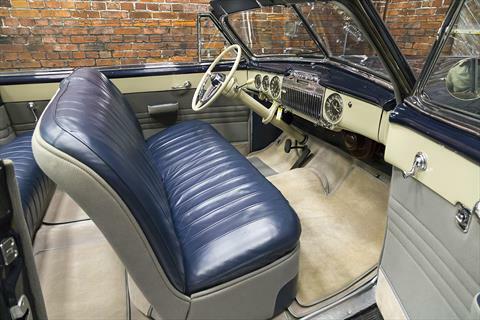 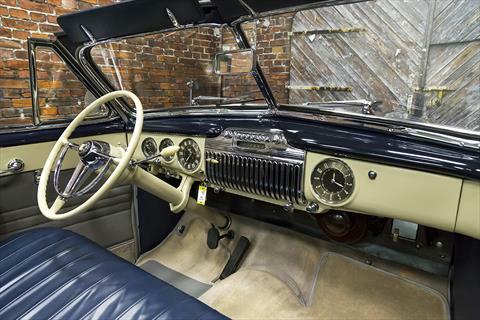 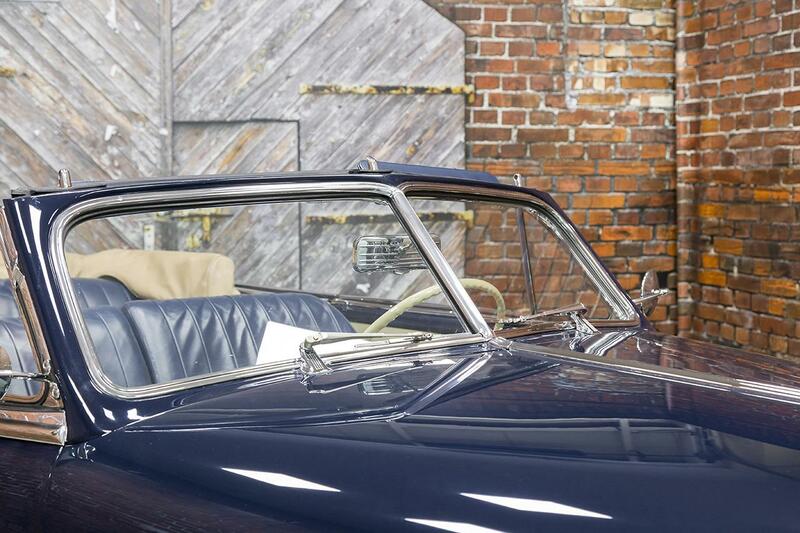 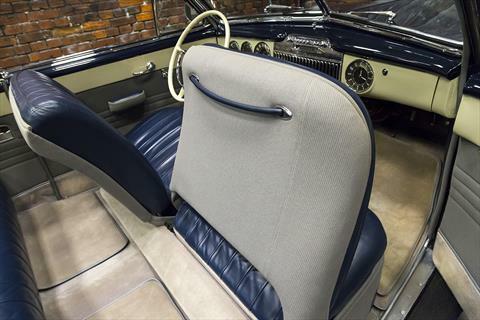 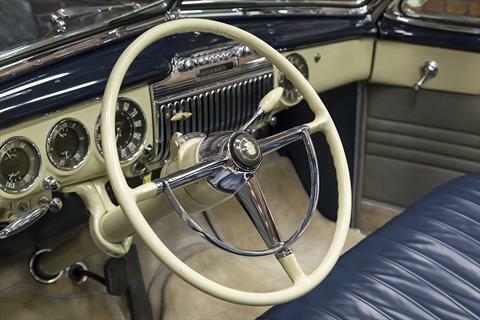 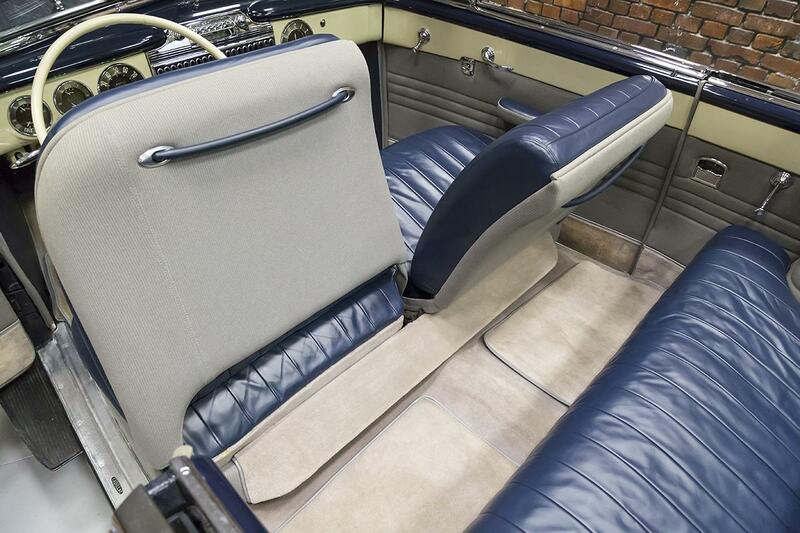 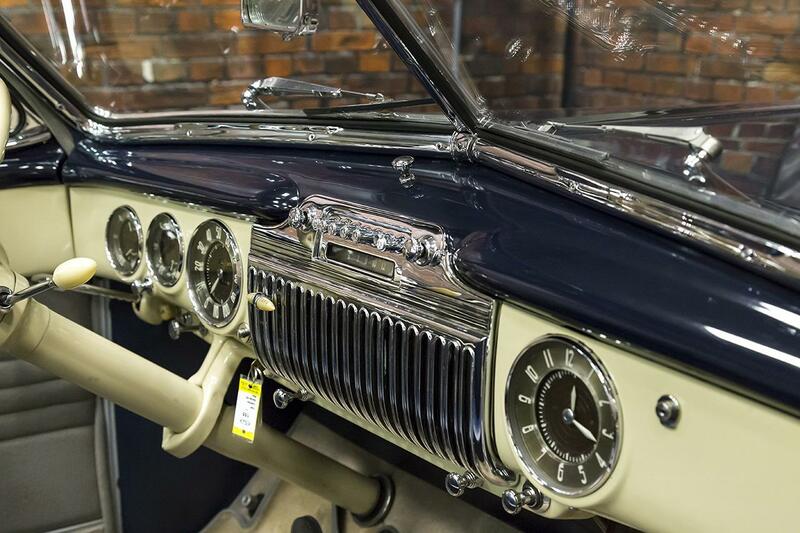 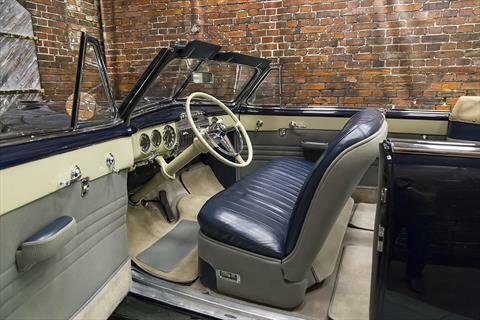 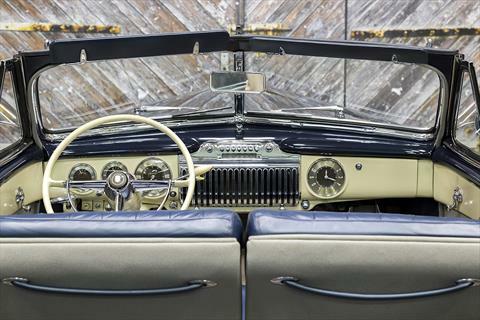 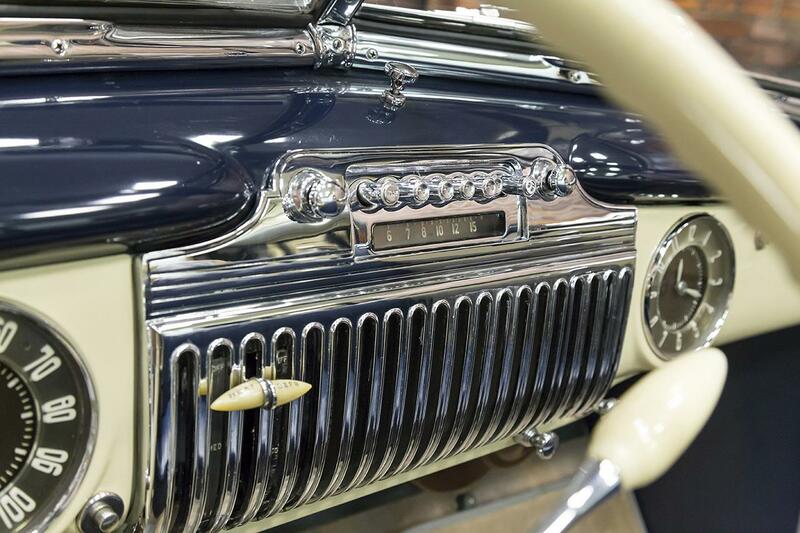 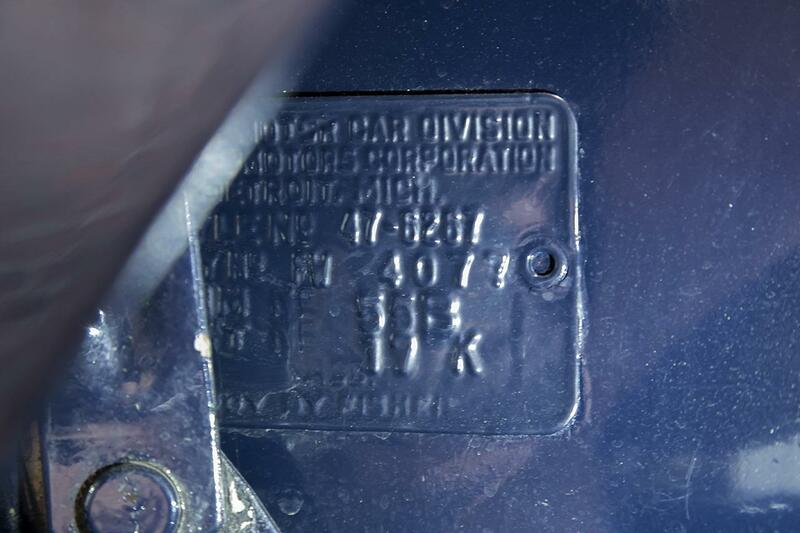 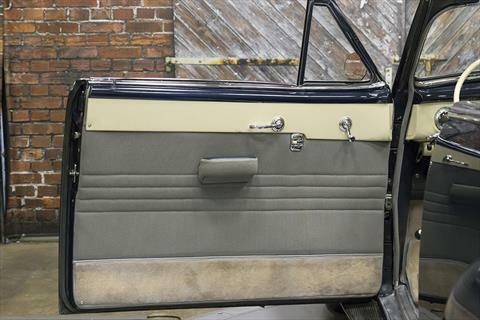 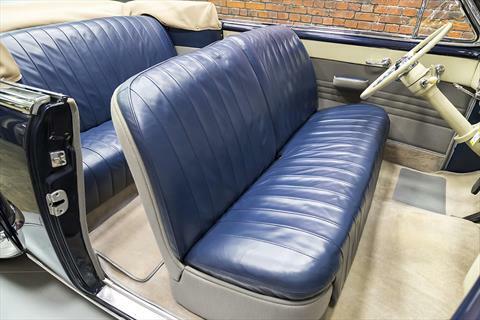 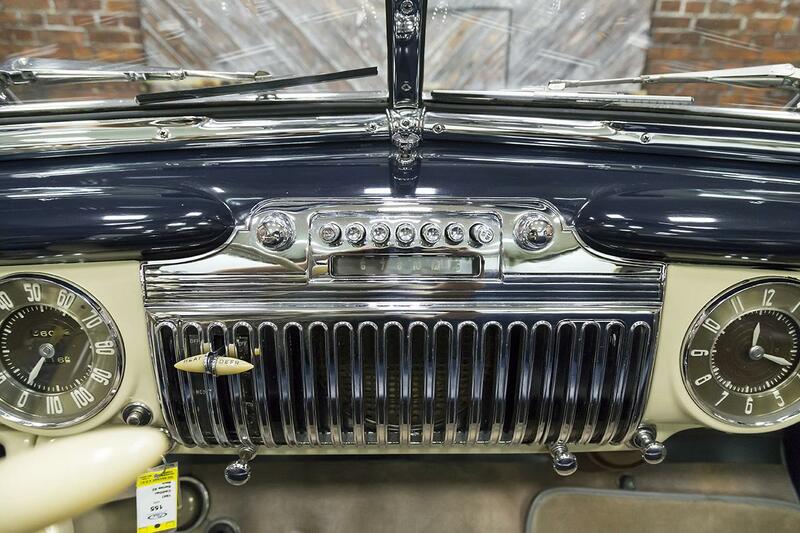 Our Belden Blue Convertible number 8442708 is one of the nicest examples in existence today.